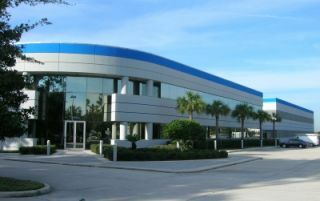 The LMG headquarters in Orlando. LMG, LLC is expanding its current Orlando headquarters at with a 50,000 square foot addition. Once complete, LMG’s headquarters will be 158,000 square feet. Construction will begin shortly and is slated for completion by February 2016.LMG was founded in Orlando in 1984. LMG moved to its current location in 1996, originally 50,000 square feet, until the firm expanded to 108,000 square feet in 2008. LMG has experienced steady growth over the last decade. This second expansion will provide a larger facility with the added warehouse and office spaces to position the firm to meet the increasing demand and accommodate for future growth.